James Smithson might be surprised to learn about some of the objects in the collections at the institution he established. 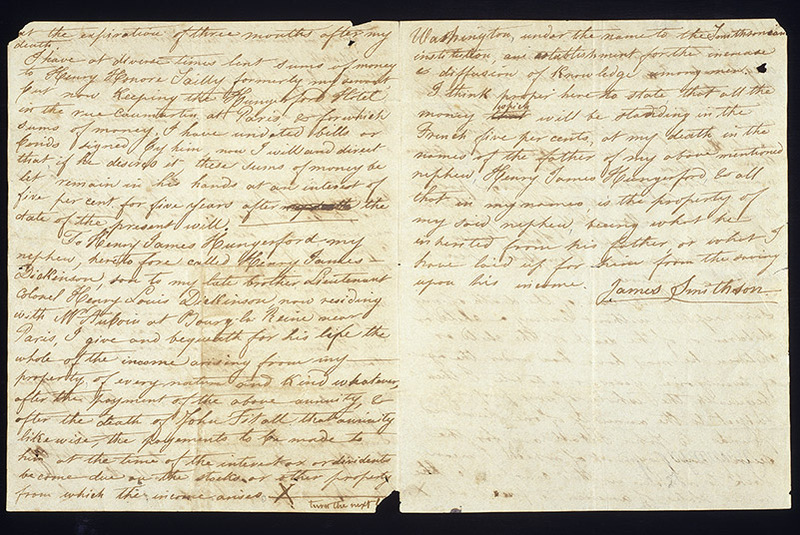 The Englishman bequeathed his fortune to found "at Washington, under the name of the Smithsonian Institution, an Establishment for the increase & diffusion of knowledge among men.” He left no further instructions about what he had in mind, but, as a scientist, he likely imagined an institution focused on scientific pursuits. (And indeed the Smithsonian is a leader in scientific research.) Increasing and diffusing knowledge through puppets, theater costumes, and electric guitars—about philanthropy, no less—probably would have surprised him! Here are five objects Smithson might not have expected to find in the institution founded with his fortune, but which tell stories about philanthropy that might resonate with him. Although most of the objects are not obviously about philanthropy, exploring them through the lens of giving allows us to discover new aspects of their stories, such as the roles of the many people whose contributions of money and effort shape the evolution of philanthropic endeavors over time. James Smithson was born around 1765 and died in 1829. He left his fortune, made from inherited money and savvy investing, to his nephew or, in case of his nephew’s death without heirs, to the United States. After a protracted legal process in Britain to secure the bequest for the United States, and then debate in the United States Congress over how exactly to use the gift, the Smithsonian Institution was established in 1846. Today it is the largest research and museum complex in the world. Image courtesy of Smithsonian Institution Archives. Smithson helped form the United States with his gift. The well-known and everyday philanthropists behind these stories have helped to form and re-form it with theirs. 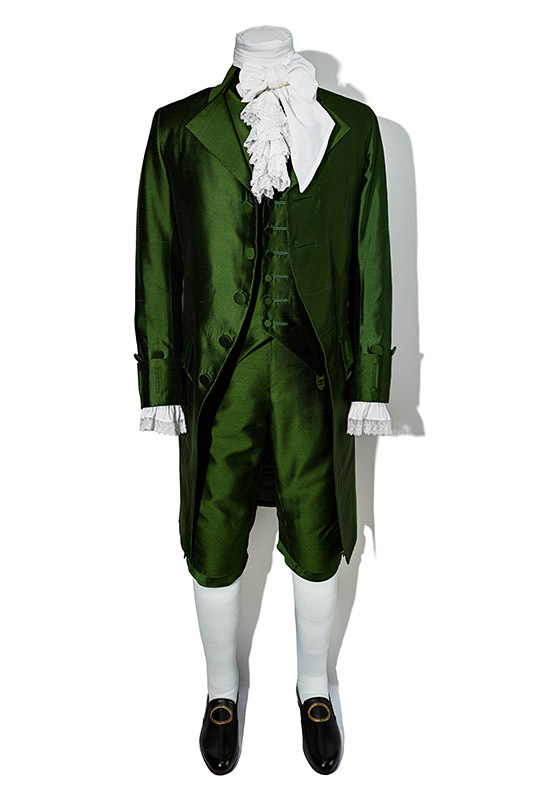 Lin-Manuel Miranda wore this costume, designed by Paul Tazewell, when he played Alexander Hamilton in Hamilton: An American Musical. Both Hamilton and Smithson were born to mothers unwed to their fathers, and each had to make his way in life without his father’s involvement. Gift of Adventureland LLC. Theatergoers and fans of Hamilton: An American Musical, along with the show’s performers, have donated to support a child welfare agency that Alexander Hamilton’s widow Eliza helped found over 200 years ago as the Orphan Asylum Society of the City of New York (now known as Graham Windham). Theater benefits have been held in the United States since the 1700s, and they were a familiar part of the philanthropic landscape in Smithson’s Britain. Kermit puppet, made by Jim Henson Productions, 1970. 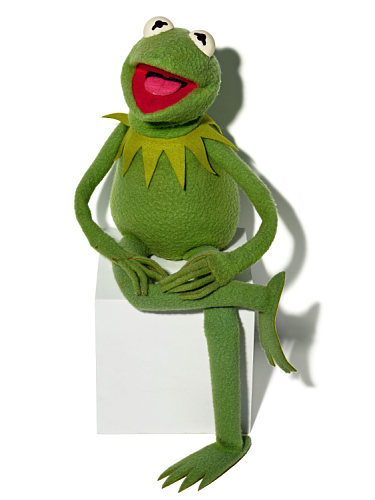 Created by Jim Henson, Kermit the Green Frog starred in the children’s educational program “Sesame Street.” The pioneering show began on public television. Gift of Jim Henson Productions (through Leslee Asch). Viewers like you, philanthropic foundations, corporations, and governments have all supported public television with its democratic mission of making knowledge and information widely available. Smithson, whose research was on chemistry, believed deeply in advancing and disseminating learning widely. Program from the 1985 Farm Aid concert. 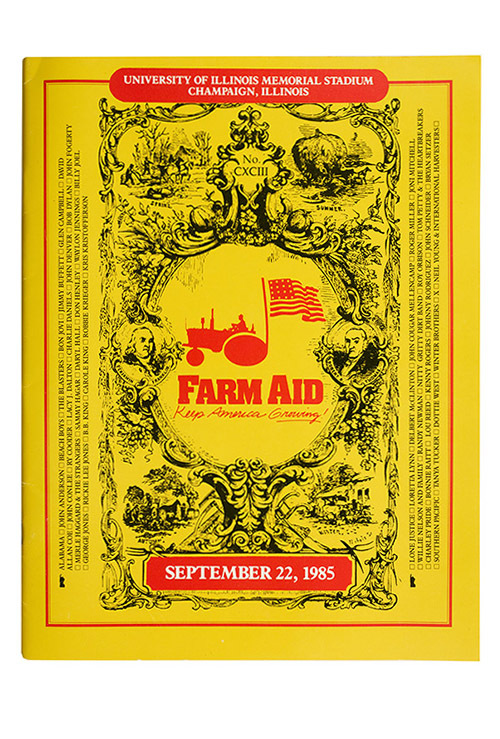 Inspired by the 1985 Live Aid concert to aid Ethiopian famine victims, Willie Nelson, John Mellencamp, and Neil Young arranged a concert called Farm Aid in 1985 to support American family farms. Farm Aid has grown into an organization that works year-round to strengthen family agriculture. Gift of Farm Aid. Farm Aid belongs to a robust system of organizations that support farmers, sustainable food production, and access to healthful food. Smithson likewise belonged to a philanthropic community whose members had overlapping interests in science, agricultural improvement, and food security for the poor. Gentlemen in his circle drew on agricultural and botanical knowledge from women, enslaved people, and other people outside the elite scientific community in Britain, the United States, the Caribbean, and elsewhere. 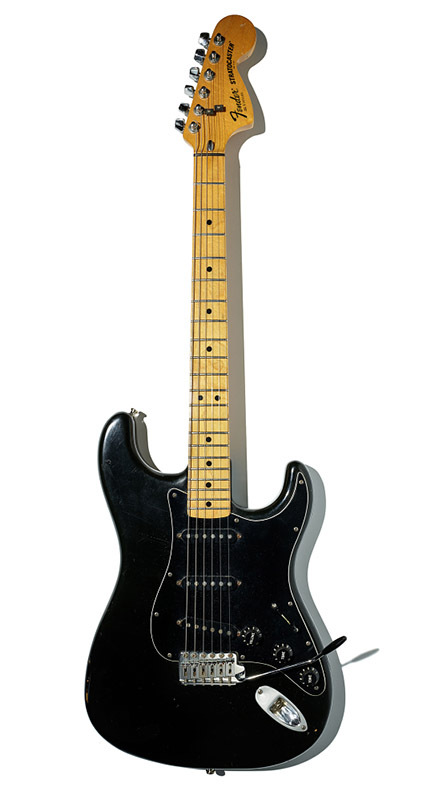 Sting played this 1978 Fender Stratocaster at benefit concerts for human rights and other causes. When he donated the guitar to the Smithsonian, he commented that he was “happy to know an Englishman actually started the whole thing!" Gift of Gordon Sumner. Sting, like the musicians who founded Farm Aid, belongs to a global community of musicians whose philanthropy influences each other, as well as inspires giving among the broader public. Similarly, Smithson belonged to a transatlantic community of scientists. He was involved with, and may have been influenced by, an American Loyalist exile scientist known as Count Rumford, who led the founding of a London scientific institution emphasizing practical knowledge. Smithson, in turn, inspired scientific philanthropy by wealthy Americans in the 1800s. 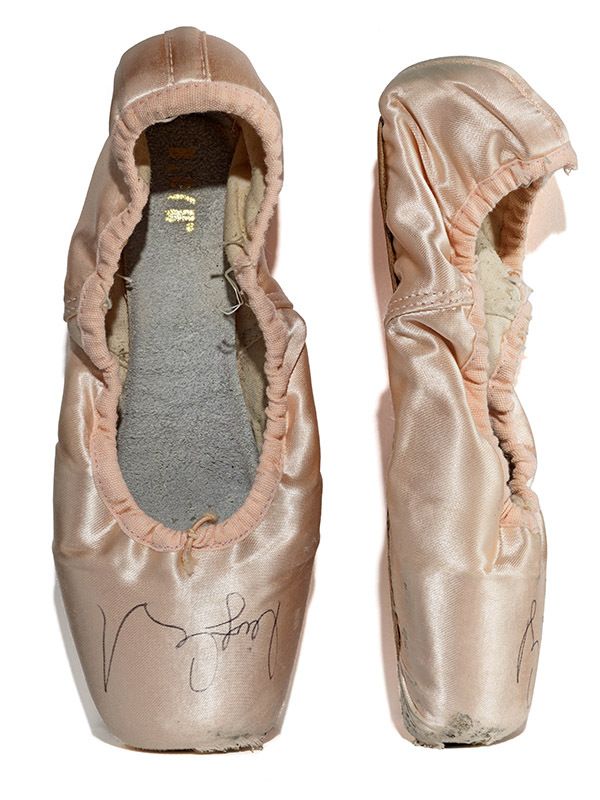 Prima ballerina Misty Copeland’s ballet shoes. Copeland mentors aspiring dancers of color as part of the American Ballet Theater’s Project Plié, an effort to increase diversity in ballet companies. Gift of Misty Copeland. Major philanthropic foundations and corporations have funded Project Plié, but the endeavor has also relied on many everyday givers’ contributions of time and talent to the local Boys and Girls Clubs where Project Plié classes have been held. Nothing in Smithson’s experience resembled the mission of Project Plié, but he likely would have appreciated the importance of many volunteers pursuing shared endeavors. Smithson lived in a world where many contributed scientific knowledge to further the mission he held dear: the pursuit of learning. Smithson made history with his gift. So have the many people whose gifts of time, talent, and treasure are encompassed in these artifacts our founding donor probably could never have imagined. All the objects have stories about ecosystems of givers whose contributions sustain, extend, and adapt causes and institutions, making and remaking the nation and the world along the way. You can see all the objects mentioned in this blog post in Giving in America from March 22 to July 2018.